Around 1900 the greek Smyrnakis tried to look for the remnants of Thyssos between the harbors of Sografou and Konstamonitou (G. Smyrnakis: To Agion Oros Athene, 1903). 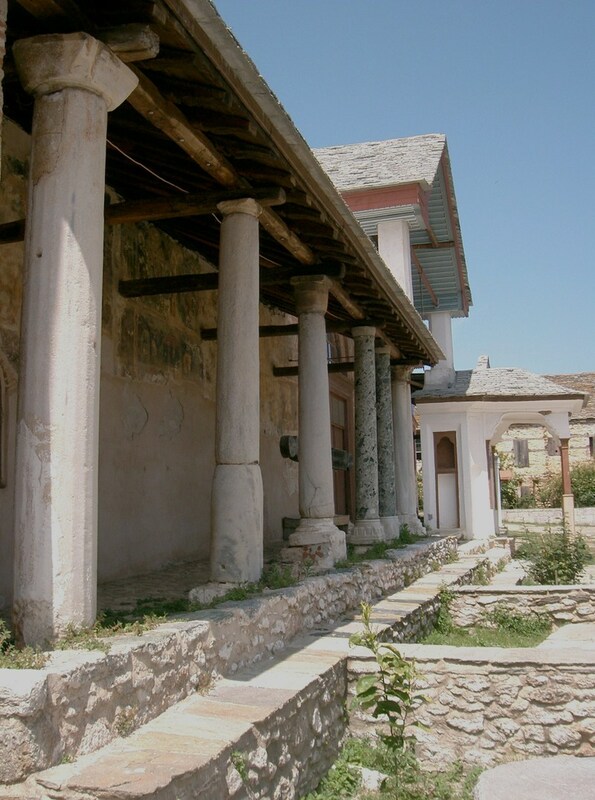 In the last 100 years the monks of Mount Athos did not give permission to do any excavations. 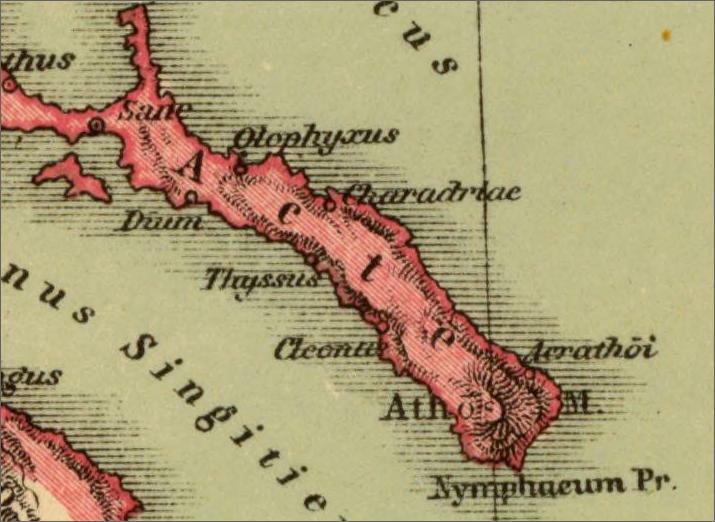 Ancient cities on Athos – map of Kiepert 1903: after the 6th century non of the ancient Greek names of the cities appear in history. Nobody knows why. Or is it the traditional story that monks tell about the Holy Virgin landing on Athos ? Through an apocryphal account we are told of the Virgin’s visit to the Holy Mountain in 49 AD. Upon the death and resurrection of Our Lord, the Apostles ‘cast lots’ to determine who would travel abroad to spread the Gospel throughout the known world. Some would remain in Palestine to further the Church there, but others would set off on the burgeoning missionary movement. It is reported that the Theotokos asked to join those who made their way through the world – her heart ever ready to share the news of her Son. The lots having been case, her was to Georgia and Athos. Yet before she could set out on her journey, the Theotokos received a visitation from the archangel Gabriel. His instruction was that she remain in Jerusalem for a time, thus delaying her departure. She obeyed the call for delay, and remained in the city. A short time later she received word from Lazarus –earlier raised from the dead by Christ and now bishop of Cyprus– who asked to receive her in his hospitality before dying once again. She agreed to his request, and he sent a ship to retrieve the Mother of God from the holy city. Her vessel shored in a bay at Clementos. There stood in that place (now the site of the Holy Monastery of Iviron) a temple and oracle of Apollo, revered deity of the Greeks. 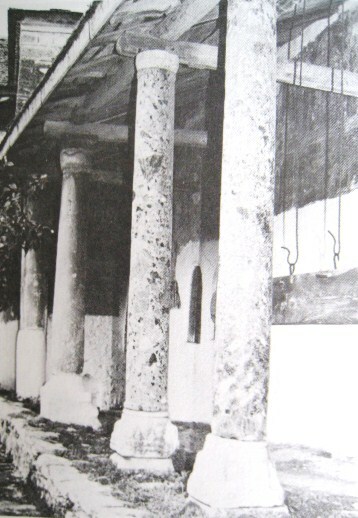 Tradition records that as the Virgin set foot upon Athonite soil the air resounded with the sound of loud crashing, as its pagan altars fell (!) and the oracle of Apollo proclaimed its own false nature. All who lived on Athos were converted and baptized by the Mother of God, who then resumed her voyage to Cyprus. 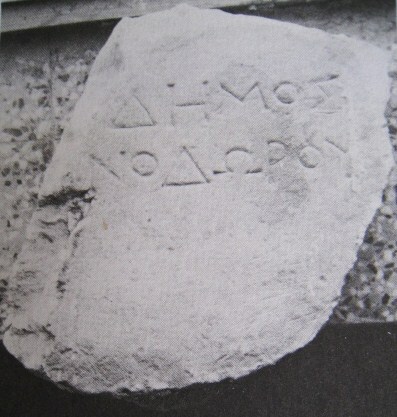 An inscription found in the olivegarden from Agiou Pavlou: Ag. 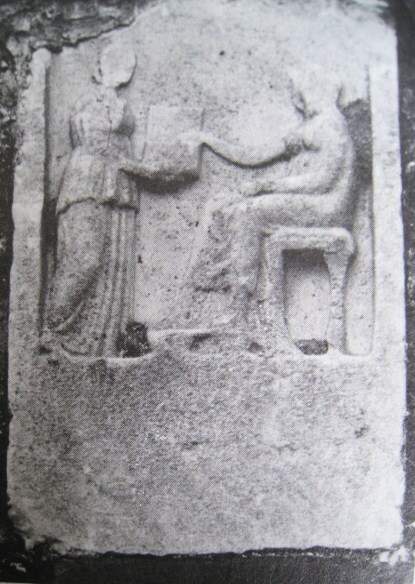 Pavlou – probably 1-2 century, with names Dimostratou and Athenodorou. 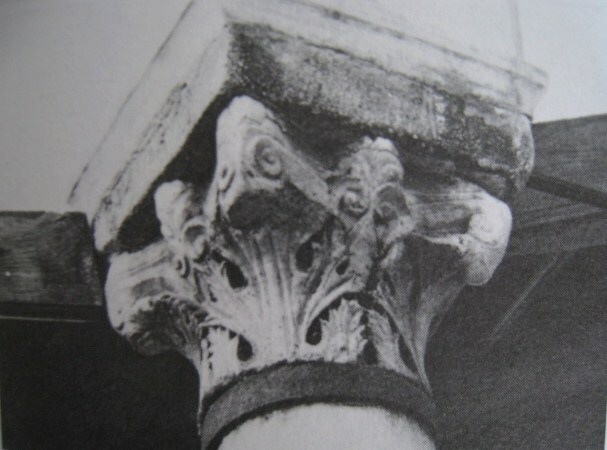 The biggest collection of ancient stones is found in Lavra, especially the columns and capitals in front of the refectory clearly show their origins. 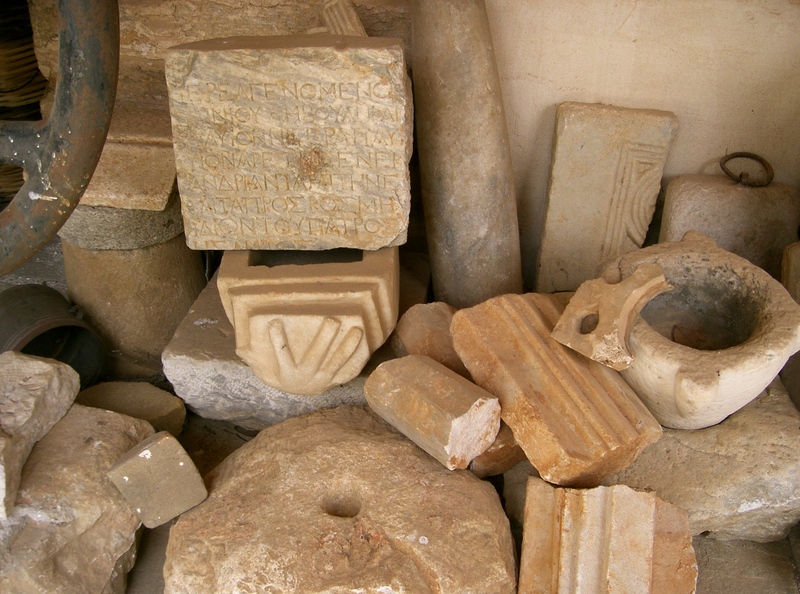 A surprize in 2007 was the “museum” of ancient artefacts that was collected by monks and displayed in one of the corridors behind the church. This entry was posted in history and tagged pre-Christian, Stele. Bookmark the permalink. 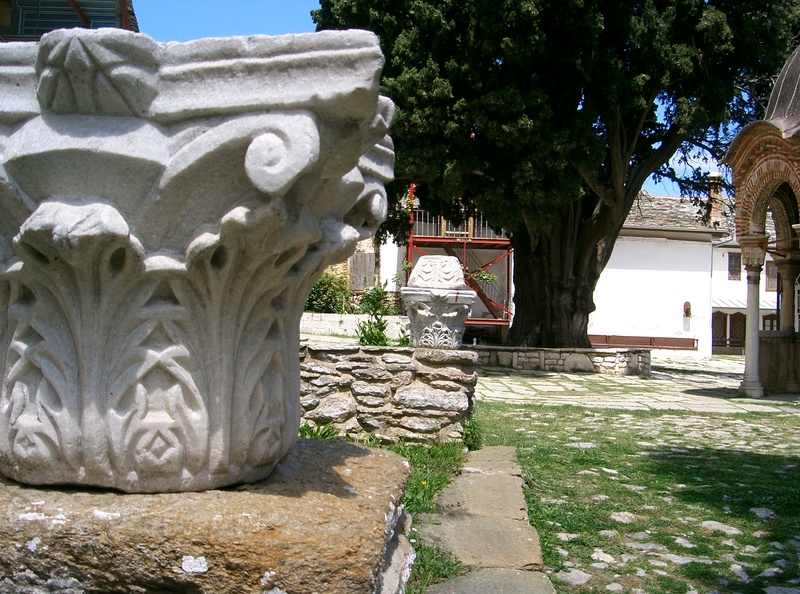 The disappearance of the old towns in the 6th century is not sooo surprising. It was a time of great turmoil and suffering because of the seemingly unending migration of “barbaric” peoples into the Roman Empire (both West and East).